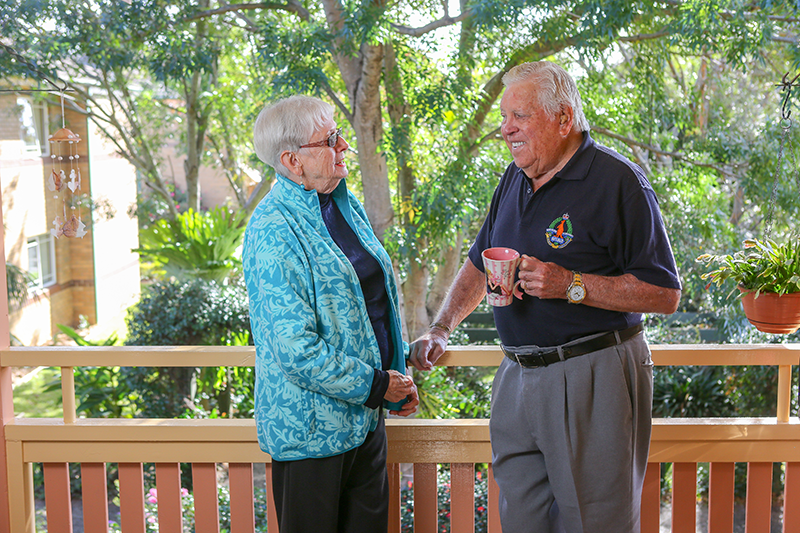 Jan and Peter Groves have lived at IRT Braeside for 26 years and are proud to call the Community their home. A magnificent elkhorn has well and truly established itself at IRT Braeside – thanks to residents Jan and Peter Groves and a sturdy pair of stockings. “The elkhorn comes from Peter’s daughter’s place on the NSW North Coast,” Jan explains. A pair of stockings were used to attach it to the tree some 20 years ago and, like Peter and Jan, the elkhorn continues to flourish at IRT Braeside. 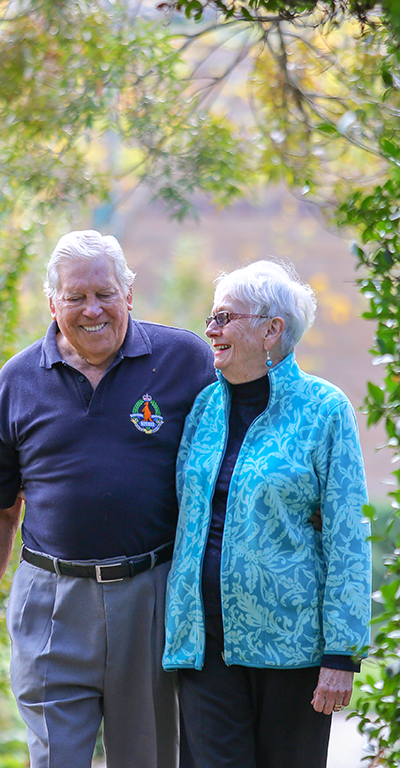 Peter and Jan have called IRT Braeside home for the past 26 years and remember how coming to live at the Community was by a stroke of good luck. Peter was 60 and Jan was 55 when they moved into IRT Braeside and both were still working at the time. Peter was a senior security officer and Jan was in shopping centre management. “We’ve always felt at home here,” Jan says. “You are living here independently but you know you are not on your own.” “And we have never regretted the move,” Peter says. Peter and Jan have been actively involved in their IRT Community for many years now and feel it’s important to do their bit. “We had been living in the Community for a few years without contributing too much, because we were working, but as people on the committees got older we felt it was time to step up and help,” Jan says. Jan has been the community’s Resident Representative for 13 years and chairs the community meetings. Peter served on the IRT Braeside Resident Committee over the years as Committee Secretary and later Chairman. Although the Community currently doesn’t not have a formal Resident Committee, it’s hoped it will re-form in the near future. Community meetings are still held regularly and there are plenty of volunteers to help out with social activities such as happy hours, weekly croquet and golf, movies, cards and darts, Christmas parties and craft group. “Our craft group, led by Flora Newsome and Margaret Brain, has raised $6000 over the years for cancer patient support,” Jan says. The Community’s garden is a passion of Jan’s and she looks after half of the garden around the block where she and Peter live. Peter and Jan say although they are getting older they feel well supported in their IRT Community.